Top Pediatric Residency Programs: How to Select the Best ? 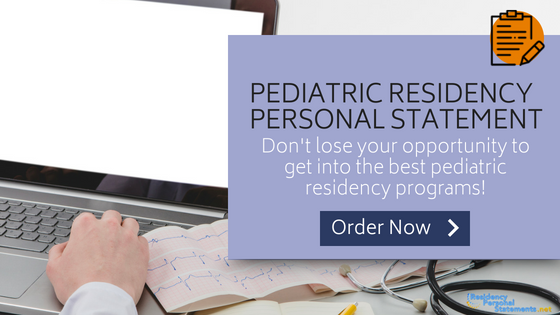 Pursuing pediatric residency? Sure. why not? But loving cuddling children does not necessarily mean you can be a pediatric resident. There are a lot of things that one should consider before pursuing the course, although loving children can be a good sign of passion. 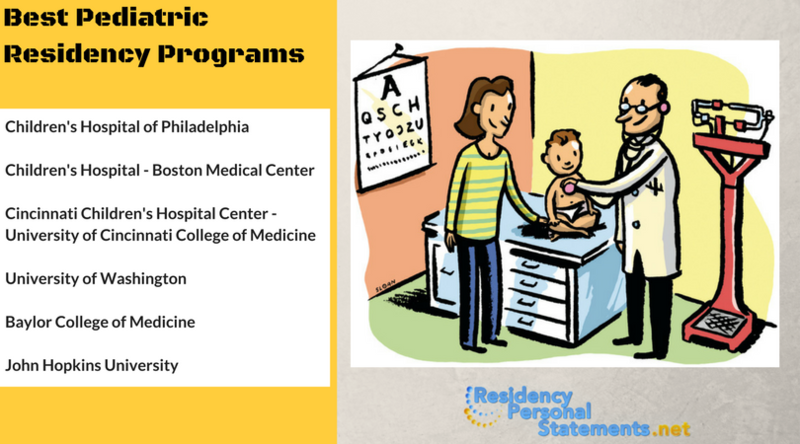 Just like in any courses, not limited to pediatric residency, it’s necessary that you choose the best pediatric residency programs. There are many available but for sure, there are only one suitable and best matches you. Also, we bring to you the most useful tips for writing a pediatric personal statement. The geographic location of the hospital of your choice. Hospitals will let you know different factors, such as the population they serve, local or distant or international referral base. The wider they are, the better, as it will allow you to be exposed to a variety of pathology and patients. The prestige of the program. You can consider the reports from the World’s report and US News annual ranking, the reports they send to readers are accurate and reliable. Famous or programs with prestige are related to the advantage of larger academic centers: research-oriented faculty. Well trained, diverse patient populations and a strong and broad education. Residency graduates. You may want to consider the percentage of their population, who went to faculty positions or fellowships. Most of the programs share this information on their website, thus better check on it. You may also want to check their passing rate, the more board passers they produce, the more reliable it is. The depth of the hospital system. This is again available on their website. check on what the program can offer, say the complexity of procedures they perform and anything else of the like. Collect all data possible about those features that caught your interest the most. Work on a spreadsheet and make sure you will not miss any detail important. Expect that in urban areas, the chances of having higher patient complexity is more, but this being the case, the cost of living if you are in the city can be a bit expensive, thus it is necessary that you consider this options as well. Improve your personal statement writing by using our pediatrics residency personal statement sample! The department faculty and chair’s clinical and research interests, including where they are trained. If you collected information, that matches yours, then it is a good sign. Their residents. Do not ask the most commonly asked question “are you happy?”, as the answer to that may come a bit subjective. Focus on questions that are objective, like how long they stay outside the hospital or how their workload is offset by the program’s educational aspect. Observe the level of formality between the faculty and the residents. Are the faculty helping their residents, and anything else of the same effect. The overall hospital system. It would be ideal to know the number of hospitals residents spend rotations. Their exposure to varying levels of people or patients and the complexity of each case is necessary for them to become a better professional. Work on our spreadsheet and score each of their characteristics. See who amongst them can collect the highest score, and you can start from there. Do not focus just on the results you got, although worth to consider, of course, it is always best to use your gut feeling to make your choice. You can always go back and do a second visit of all the programs you considered and visited. Of course, what you want is to get your pediatric residency to the top program, thus considering the schools noted as top pediatric residency programs in the USS can be taken into consideration. You may also want to consider a list of all pediatric residency programs by program characteristic, as this is where you can match exactly your abilities and capabilities versus the school you are planning to pursue. Below is the list of pediatric residency program rankings for which you’ll need a personal statement for pediatric residency. This pediatric residency program has been rated excellent by those lucky individuals who were given the opportunity to work and pursue their careers in Children’s Hospital of Philadelphia. Considered to be on top pediatric residency programs rankings, and deserves the fame it is getting. People were satisfied with the program they are getting from this institution, It’s consistency being rated as one of the best programs around America is good enough for you to consider them. They offer various options of programs and few combined pediatric residences, thus something worth to consider. The people, generally are satisfied with the learning and experiences they gathered from the program while on their pediatric residency, they rated them high in terms of career guidance, working hours, schedule flexibility and culture. This is an ideal option to those who are pursuing pediatric medicine. Another top in the industry is providing education from the best facilities in the US. Working with -a great team, with flexibility on schedule and working hours that are ideal, are few of the reasons why many are considering John Hopkins University for their Pediatric Residency. One of the most prestigious universities around the world is giving their pediatric residences enough education they need to progress in their field. Residences will be educated with the best possible experience that they actually cannot get from other programs. Of course, what you want is to get to the top pediatric residency programs, that being said, you need to work on it hard. You are to consider important factors to get into the school. Although, qualifications from one university to another, creating a strong pediatric personal statement is necessary. Other than getting excellent grade or outstanding school records, working on your personal statement is necessary, considering that best medical schools for pediatric surgery residency obviously always have a lot of applicants, thus making the competition tighter. Then you should set your goals on the best med schools for surgery. It is necessary that you stick with a focus, or for others, they call it as a theme. Whatever you would include on your residency personal statement should support the focus, in this case, the focus should go around “why you should be accepted to the school you choose?”. You need to focus on that, thus providing all details that can support and strengthen your goal to get accepted into the grad school you choose. Make sure that your syntax is all correct. Consider checking your spelling, punctuations, subject and verb agreement etc. The assessors would never want to see errors on such, as that can completely destroy your chances of getting into the school. It is a must that you proofread your work, remember, you are applying for a residency, thus you are required to make your work error free. Assessors will be particular with that, as for the profession you plan to pursue, you definitely would never have room for errors. You may have no experience yet in terms of the actual pediatric work, instead, what you can share are things or activities you participated which showcase your abilities and capabilities working as a pediatric residency. It can be something to do with infant care, a simple experience where you provided care to a sick baby can help, or any other things related to it. You can also share an experience when you need to instruct someone with a specific responsibility, it may not be directly related to genetic counseling, but the action and the ability to give instructions and educating someone is the same. And read about neonatology fellowship personal statement too. You would never want to get specializations just to a school that is available or considered your application, what you want is your option and not because you were left without a choice. It is necessary that you search for the right school for you, then strive hard to get into the school. For pediatric residency, the quality of education you will gather is important, thus it is a must that you consider the school of your choice. And we can help you with writing residency personal statements. If you are having a hard time working on your personal statement, seek help from professionals and become a part of one of the top pediatric residency programs.